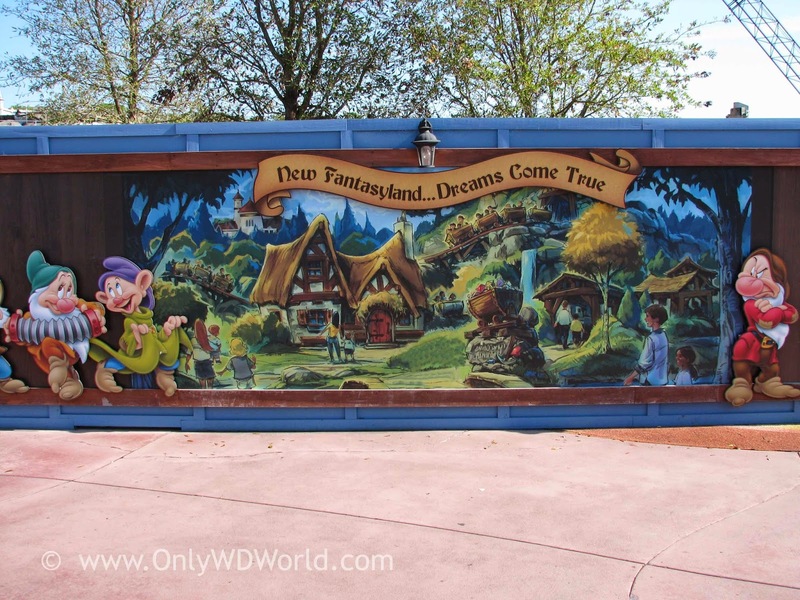 Home � Disney World News , Disney World Vacations , Fantasyland Expansion , Magic Kingdom Attractions , New At Disney World , Roller Coaster � Seven Dwarfs Mine Train - Over 2 Years In The Making! Seven Dwarfs Mine Train - Over 2 Years In The Making! The last major piece of the Fantasyland expansion in the Magic Kingdom at the Walt Disney World Resort is almost completed. The Seven Dwarfs Mine Train is over 2 years in the making, but will be open for guests any day now! The wait for the newest Roller Coaster at Disney World has been over two years long, but Disney guests will soon be able to ride this attraction with special mine cars that promise to provide a different coaster experience. 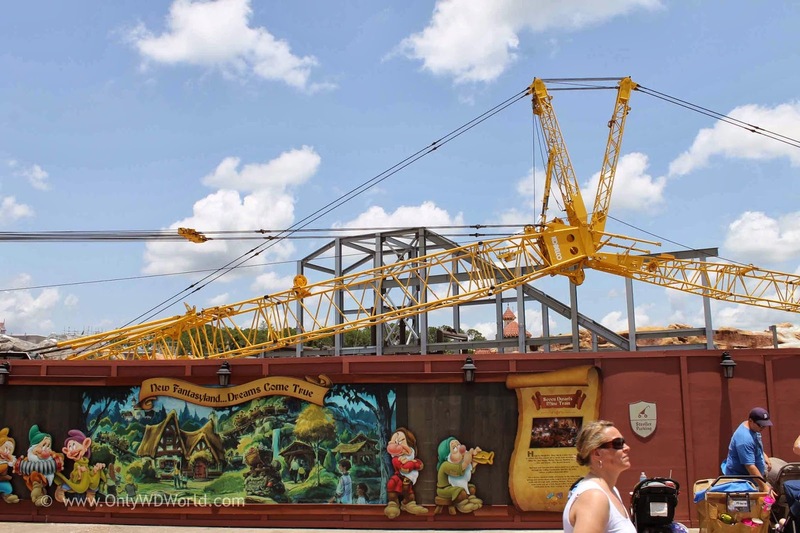 Only WDWorld is taking a look back at the past two years to share some pictures we took that captured the progress as the Seven Dwarfs Mine Train was being built. 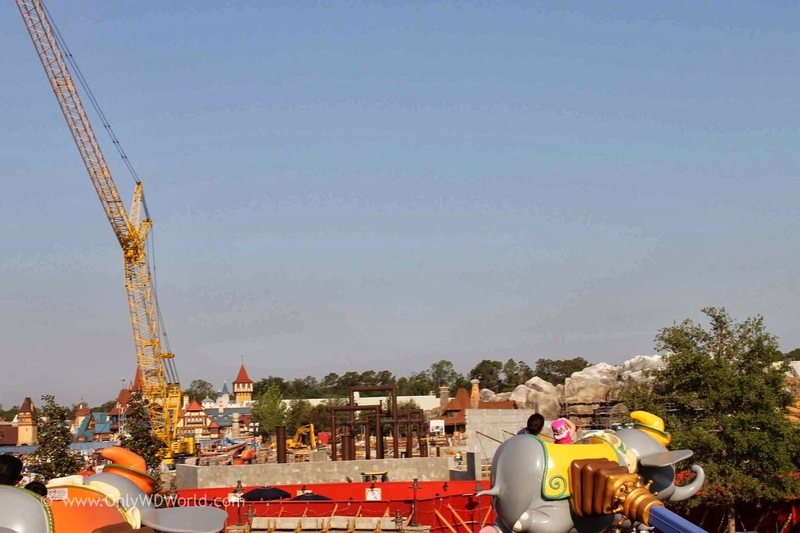 The above picture shows some of the initial framework being built as seen from Dumbo! 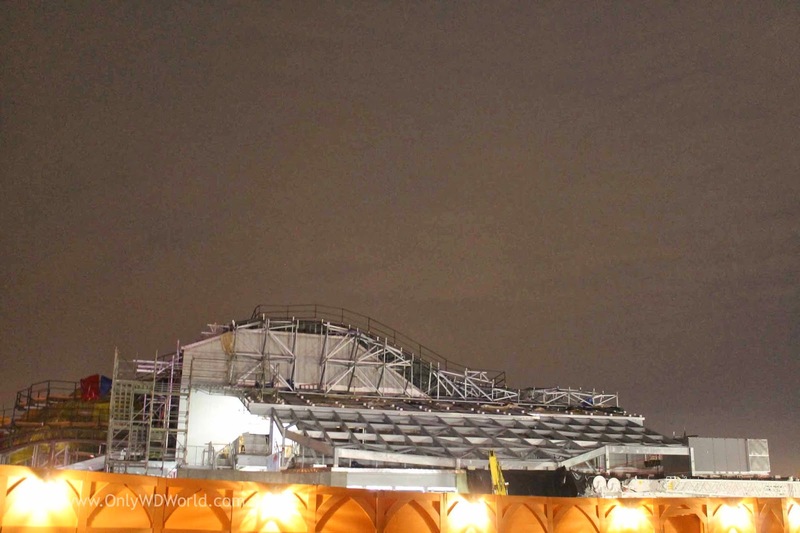 Early on in the process, construction continued everywhere throughout the new Fantasyland Expansion. 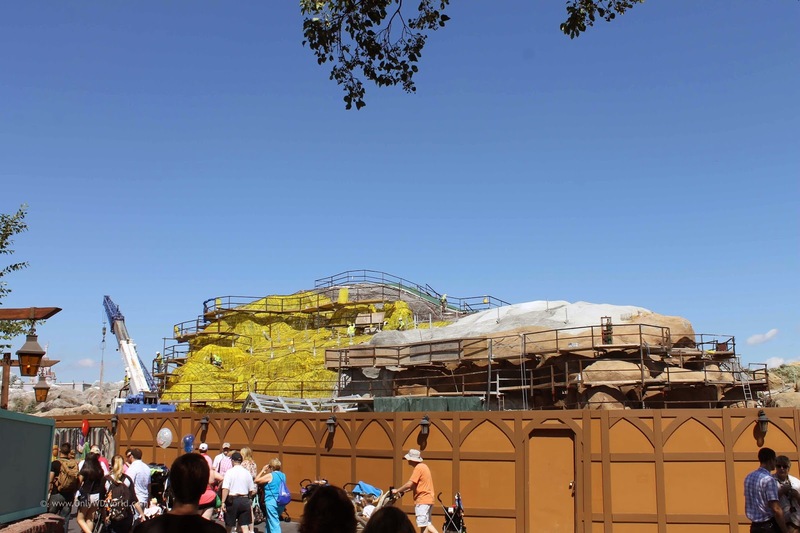 As construction progressed, you can notice the rest of the new Fantasyland Construction eing completed. 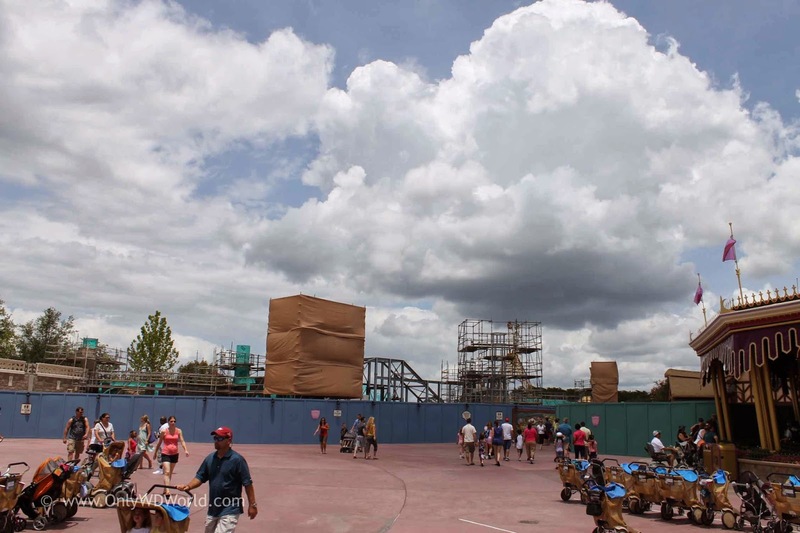 Soon all signs of construction will be gone and Disney World Guests will be able to enjoy this new area without the distraction of construction walls and cranes. Over two years in the making, but an amazing transition from the original Fantasyland. 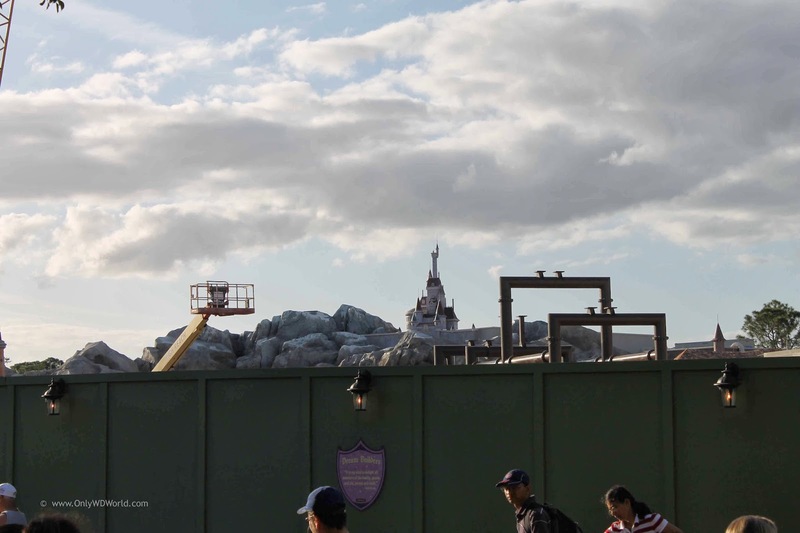 What Do You Think About The Fantasyland Expansion? 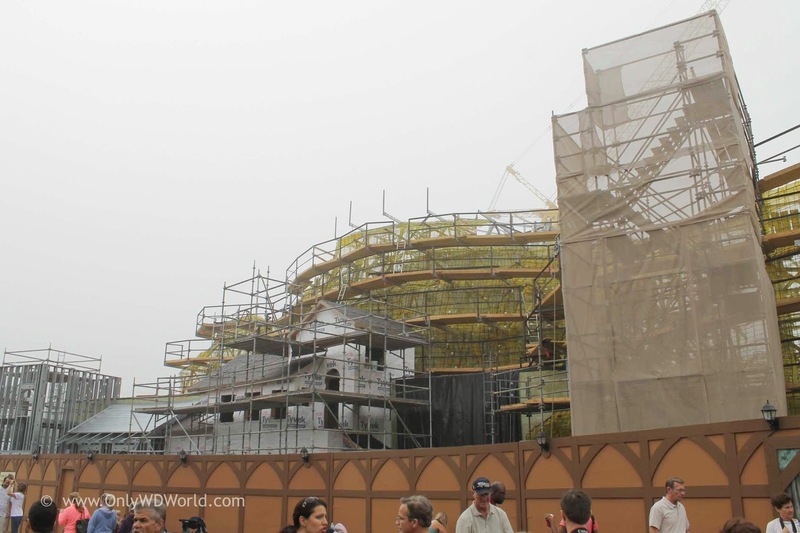 Now that it is nearly complete, what is your impression of the Fantasyland Expansion in the Magic Kingdom? Did it live up to your expectations? Share your comments with us! 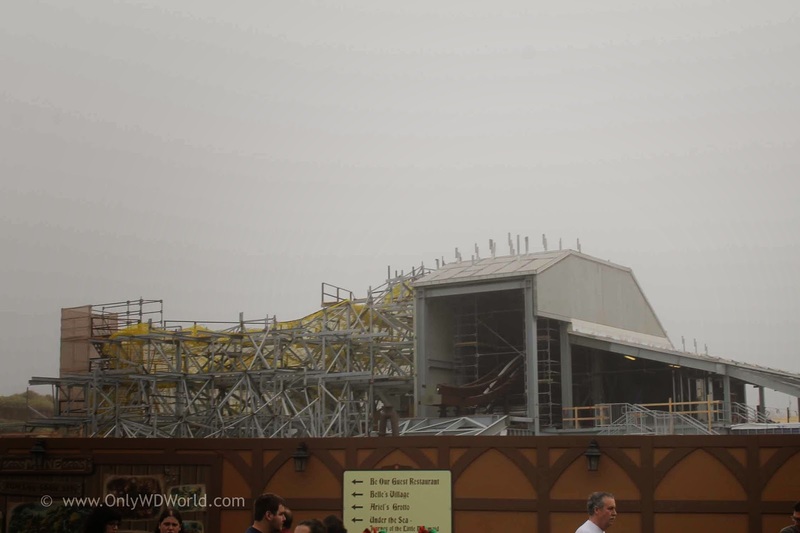 0 comments to "Seven Dwarfs Mine Train - Over 2 Years In The Making!"